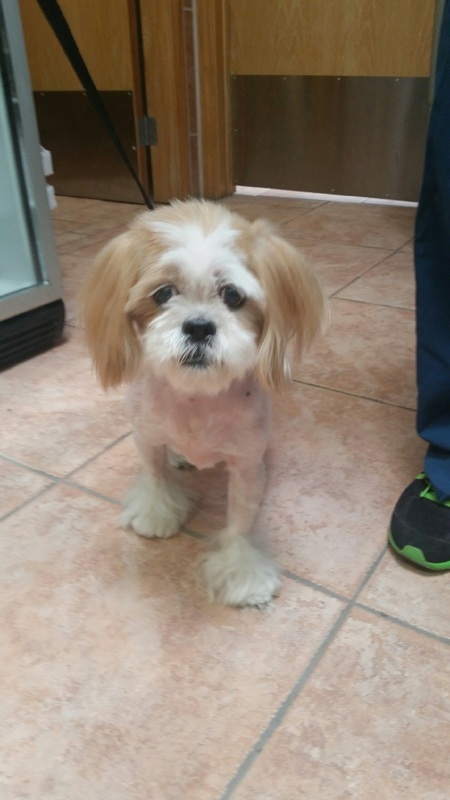 Jazzy is eleven years old and she's a Lhasa...weighs about 12 lbs. She is in a cage at the vet and has been there for about 2 months. Her owner had to go into a permanent Care facility and no one in the family would take her. In fact, they were going to euthanize her, but the owner begged her vet to intercede. He's a wonderful man and he took her in and is trying to find her a home. She is very calm and sweet and just wants a loving lap. Some retired person would be perfect.